Get out your tuxedos and gowns, the galas are about to begin! Yes, Shrink Rap is now 10! We are the longest running psychiatry blog and with thousands of posts and years of faithful readers, we couldn't be more excited! Okay, so no black tie gala. We had planned a party with chili and beer and a cake with a duck on it, but a family emergency delayed the event -- to be rescheduled soon. So let me tell you how much I've loved having this blog (a lot) and over the years, there's been a lot of evolution. I write less than I used to, but I still write. Clink comes by with updates on conferences and spends more time on Twitter. Roy is still in it for the food and friendship, but he's moved on to some other endeavors-- perhaps he'll post an update to tell you about them. We've blogged, we've have 70 episodes of our podcast, My Three Shrinks, there's been our book: Shrink Rap: Three Psychiatrists Explain Their Work, and our columns in Clinical Psychiatry News and Psychology Today, not to mention Twitter and Facebook. As I've mentioned, our umbrella organization, The Accessible Psychiatry Project, is up for a Scattergood Innovation Award and you are still welcome to add a comment on their website because we'd really like to win! So ten years and going strong. Thank you for being part of our rather unusual psychiatric adventure, and thank you for being part of our lives! Clink and Roy may have more to add soon. The article below is being reprinted from this month's edition of The Maryland Psychiatrist. Dr. Hershfield shares his wisdom on outpatient treatment of patients, and of running a private practice. Please note the intended audience for this wisdom is younger psychiatrists, in particular, those just starting out. I'm not a younger psychiatrist just starting out, and in fact, I'd fail on a couple of these measure -- we all have to figure out for ourselves how best to practice in the context of our personality's and in the context of who are patients are and what they need. Overall, however, I thought Dr. Hershfield makes some excellent points and I wanted to share his wisdom. With thanks to Bruce Hershfield and to Dr. Nancy Wahls, editor of The Maryland Psychiatrist, for allowing this to be reprinted. The Shaw quote is for Jesse. 1 Psychotherapy is important, particularly if the patient is on the right medication. I won’t do “med checks”, since I would not want them if I was a patient. I figure if it’s simple enough to do in a few minutes, my family doctor can probably handle it or learn how to do it. If it’s complicated, it’s going to take me more than a few minutes. I knew when I was a Resident that psychotherapy was important. I realize now, if you have a severe psychiatric disorder like schizophrenia or bipolar disorder and you are not on the right medicines, you’re in a lot of trouble, no matter how skilled your therapist-- psychiatrist or non—psychiatrist-- is. 2 Splitting the treatment, which was tried at least as far back as the’ 70s, is a serious matter, only to be used when both treaters know and trust each other and are able to communicate easily. You just don’t know what the other treating professional is actually saying to the patient. Splitting the treatment puts a psychiatrist at great risk of a suit, with little reward. 3 Try to get along with colleagues, even when they are being provocative. You may need to walk away, and you probably will need to apologize and also to forgive at times. Never fight with secretaries; learn from their observations. I should have read “How to Win Friends & Influence people” long before I turned 60. 4 Try to have as few bosses as possible. If everybody loves the boss, he or she probably isn’t effective. Never have more than one boss to whom you are reporting. All people – – not just patients – – have transferences, and they usually complicate relationships with bosses. 5 If you’re always agreeing with the general wisdom, particularly if money is involved, you will eventually be dead wrong on something. Atypical antipsychotics helping the negative symptoms of schizophrenia is a good example of conventional wisdom that turned out to be wrong. Beware of fads, don’t trust ads, don’t take professors or studies too seriously. 6 The more we know, the less magic is associated with us and the less respect we receive. It’s part of our attempt to climb out of the Middle Ages. 7 Psychotherapy is more about healing, which usually occurs in – between sessions, than about insight. Patients who are asking for insight are usually unwilling to change their behaviors. Patients who don’t do the homework probably will not learn new ways of handling problems. 8 You can’t tell who is going to be a good patient. Some people with little education and little command of the language can change and get well. People who have addiction problems are the hardest to predict. You probably should give them a chance if they ask. Even after seven years of chronic depression, for example, some patients recover. 9 People will pay for good medical care, particularly for their children. It is not an accident most psychiatrists are now practicing outside the managed-care system. Don’t allow managed-care companies to tell you how to practice. It doesn’t look good ethically and it doesn’t impress juries. Do what is right, even if it costs you in the short run. You still may get in trouble, for example with administrators, but someone may be impressed and maybe you’ll be rewarded. At least, be kind, if you can’t do any more than that. 10 Stay out of court, if possible. Don’t sue people, don’t dismiss the possibility that anyone can sue you, and be sympathetic when your patients get involved in proceedings. Lincoln was right when he advised a group of lawyers to “eschew litigation”. 11 Join societies and ask for advice from other members. If you’re willing to ask for a consultation, you are almost certainly not negligent. Patients are reluctant to get them. Arrange for consultations with someone whose advice you’ll almost automatically take. Don’t criticize colleagues to others, including to patients. 12 Don’t steal other people’s patients. Ask potential patients if they have ever seen a psychiatrist, when they first call. If it’s in the recent past, ask to have their psychiatrist refer them to you and say you’ll get back to them if that happens. Clarify beforehand if it’s for a one – time consultation or for ongoing treatment. If patients don’t show up for the first visit for any reason, or give you a hard time on the phone, you will eventually regret taking them into your practice. 13 Be available. Return calls. Have a call hour. Answer letters. Encourage patients to call you if they need you. Find someone to substitute for you whom you can trust when you’re away from the office for any significant time. Be very careful about prescribing for the patients of others when you cover for colleagues. Don’t charge for phone time. Most people won’t abuse it. If patients call too much, you probably need to see them more often. Don’t let patients go for more than 90 days without seeing them. 14 Document. Too much is better than too little. There’s more paperwork each year – – more work in general. Real earnings have been going down since the’ 70s. Follow up on lab tests. Write legibly. Your reputation may depend on the quality of your notes. 15 Be cheerful, even optimistic. It turns out it wasn’t Lincoln, but i someone else who said that he reckoned that people are as happy as they allow themselves to be. You can’t expect depressed patients to be optimistic, and someone has to be, at least to balance their pessimism. If you are a psychiatrist, chances are that most people, and virtually all of your patients, have it worse than you do. Don’t complain. 16 Keep learning. Read books, acquire new skills. I’ve heard that almost everything we know we’ve learned since 1950. Accept that what you know will probably turn out to be wrong or useless. They call that progress. Beware of people who tell you they know the answers. Your training will probably turn out to be a small fraction of your career. 17 Patients are probably right about side effects. Be suspicious about claims made by drug companies, including maximum recommended doses. Ask patients about drinking and about caffeine, not just about illegal drugs. Check with families. Be suspicious if patients forbid you to contact their families or the professionals who used to treat them. `18 Get to know families. It’s crucial if something like a suicide occurs. Get a family history. I understand the average person carries the genes for 20 disorders, of which four are lethal. 19 Don’t treat members of the same family, or close friends, if you can help it. Don’t write prescriptions for your friends or coworkers. You can’t successfully treat everybody. Somebody else may be a better match. Sometimes, patients return after they drop out. 20 You work for the patient, not the other way around. Dress accordingly, use honorifics like Ms. or Mr., and ask what the patient wants. Set up a valid treatment contract, early on. Be wary of double agentry, like working for the patient and the hospital, or for the patient and the managed-care company. 21 Use “we” interpretations. This is not Europe; people expect to be treated as equals and they aren’t as tied to their traditions and their families as in other places. Sometimes a story or a fairytale can illustrate a point. Be careful about using your own life as the example. Patients can sometimes change if they are laughing, but be careful. If you offend someone, apologize. Patients don’t expect their psychiatrists to be perfect, but they do expect them to display good manners, like holding the door for them or offering them a tissue when they cry. Psychiatric disorders are common and chances are that someone you know, or even you, will get one. 22 If you’re going to work for yourself, you have to stay healthy. Take frequent vacations. Learn how many patients you can safely see in a row and what your personal clock tells you. If you are sleepy, excuse yourself and get some coffee. If you bring it into the session, offer the patient a cup. 23 Make sure you get paid. If you get cheated, learn from it. Don’t pursue it too hard; there are too many ways that disgruntled ex—patients can make you miserable. Be careful to document when patients pay you in cash. 24 When patients miss an appointment the first time, don’t charge. Make sure you call to find out what happened. If they can come later that day, let them. Patients tend to resent paying for missed appointments. 25 Be on time, or at least apologize if you’re not. Try to give extra time of people need it. They rarely abuse it and often appreciate it. Give plenty of warning before you raise your fees. 26 You will like some patients more than others. Some patients will like you more than others. You are neither as good or as bad as your admirers or detractors say you are. 27 Things go wrong. Admit it when you make a mistake. We are always on the verge of disorganizing, as is everything else in the universe according to the second theory of thermodynamics. 28 Diagnoses can be important. Hand the patient the DSM-V if you think that a personality disorder is present. That book has his limitations, but at least it uses a common language we’ve had since 1980. Watch out for indications of learning disorders. You may not want to make a diagnosis of a personality disorder, but it may be present anyhow and completely ignoring it may complicated or destroy the treatment. 29 The public system is in worse shape than the private, since government is not in the business of building reserves and sooner or later finds itself in a financial crisis. Also, there are too many bosses and too many political influences affecting patient care for it to be very good for very long. I hope I haven’t finished learning. It is upsetting to realize how little we still know about what causes psychiatric problems. Our patients live better lives now than they did 41 years ago and I’m optimistic that we can help them live still better lives in the future. I used to think that I would retire when I turned 70, but I decided not to do that. There’s too much going on for me to quit now. Please do read the article, but in a few sentences, here's the synopsis. A mom is writing an oped piece about her daughter who lives in a group home in New York and has a chronic mental illness. The daughter went missing from her group home, off her medications, and reportedly because of HIPAA laws, the group home did not tell the parents the daughter was missing. In fact, they repeatedly said she was "not home," which in my book is dishonest. The story gets worse, the police initially wouldn't take a report, and eventually the daughter was located 28 days later in a shelter in a terribly deteriorated state. If that's not bad enough: the daughter was on Assisted Outpatient Treatment (the mom call's it Kendra's Law ) and known to be dangerous off her medications, so she was court-ordered to treatment, and the group home still didn't report this to the parent or the police for some prolonged period of time. The point of the article is a plug for Rep. Tim Murphy's Helping Families in Mental Health Crisis Act, now stalled in Congress, because the mom contends that if this law passed then the group home would have had to release information to her and they could have helped their daughter if they'd known she was missing. If you've been paying attention here, you know that I'm not a fan of this segment of the proposed legislation that essentially says that a person with a psychiatric diagnosis can not refuse to allow his mental health professionals to communicate certain information (diagnosis, medications, follow-up appointments) to his caretakers. I've written before about my concerns, but I'll restate them: such a law singles out those with mental illnesses as the only people who can't decide not to share their medical information: it's stigmatizing, and it may lead people to avoid getting care because it will be translated as "psych patients don't have HIPAA rights." It's not that I'm any great fan of HIPAA, but HIPAA is misunderstood. It doesn't say who a doctor can't talk to without permission, it says who medical folks can talk to without permission (and there are plenty of entities that can get your medical information without your permission). Before HIPAA ~and yes, I'm old enough to remember this~ we didn't release information to family members without permission and patients had the right to confidentiality, this is not new. Furthermore, I think most of these catastrophes are about a misinterpretation of the bill or even laziness. 'I can't tell you if your family member is hospitalized on our unit because of HIPAA. ' But, dear unit clerk, you can go see if the chart has a release to talk to family, or you could go tell the patient his family is looking for him and ask if you can call them back. Finally, The no-HIPAA for psych patients legislation assumes that the sick person is sick and the family is well. What if a person with mental illness doesn't want their family involved because they hound him, because they've been abusive, or because a psychotic relative believes he's in danger from the KGB and is intrusive with his own delusional beliefs? What if family has previously discouraged treatment or medications and is critical of a person's decisions to get care? The bill assumes the caretaker will facilitate treatment and that may not be correct. That's why I don't like the HIPAA exclusion. So back to the story, and let me start by saying I don't know the mom, the patient, the group home, or anyone else. So my first thought is: a potentially dangerous patient disappears from a group home and no one is notified? Is a group home even a health care facility? If you don't answer your phone and your parents call your building superintendent, they'll look in your apartment. Isn't there an emergency number listed with the group home--if so, disappearing off medications seems like an emergency and it would be okay to notify the emergency contact? The patient is court-ordered to treatment and off medications, can't the police be informed and told to bring the patient to an Emergency Room for evaluation as Kendra's Law allows for? And the police can certainly inform parents--they have no HIPAA issues. 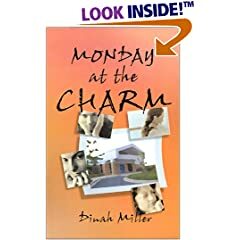 It seems that if the parents have been involved all along then someone at the group home would know them to communicate-- and it seems mom knew that the patient was off her medications and psychotic before she left, so she was likely in communication with her daughter. Is there more to this story --we only heard one side-- because it seems like there must be. Or is the group home misinterpreting the law to say they can't release information when really they could? Perhaps they've been negligent and are hoping the patient will return so their negligence won't be noticed and questioned? I don't know the case, but nothing I've read of HIPAA says that a living facility can't report a missing person to the police, notify an emergency contact when they go missing, or even just tell an involved family member that someone has left their facility. Is the facility afraid that a vulnerable, psychotic, person who is court-ordered to care is going to sue them for releasing information? Shouldn't they be more afraid that they'll be sued or sanctioned for a bad outcome? What about doing the right thing? Would it ever be the right thing to say a very sick person has gone missing and no one will be notified? Lastly, let me say that I don't think the provisions of the Murphy Bill would have changed this. The changes in the bill allow for a mental health professional to release specific information to the caretaker. In this case, the patient is living in the facility-- they are the caretaker. I don't believe it covers an interested parent who is not the one responsible for getting the patient to appointments or helping the patient obtain medications. We don't need to revise HIPAA just for mental health patients; though it would be nice if we got rid of it for everyone for many other reasons. We do need to talk with patients. When they are well, we need to ask them who we can share information with during an emergency. The issue isn't the legislation, it's how it is interpreted, and new legislation will be misinterpreted. We need to use common sense. Really, as health care providers, we need to do the right thing. On March 13th, I wrote a post: "To Aetna: I am NOT in Your Network about how I was trying to reach Aetna to clarify that I am not a psychiatrist in their network. I wanted this clarified because I was getting so many calls from people asking to see me because I am listed on Aetna's website. I called and called again, but the voicemail prompts left me with no where to go. When I reached a live person, I was told that Network Services would contact me within 48 hours. That never happened. I wrote in through their website. Nothing. And finally, I contacted the Maryland Insurance Commission, who contacted Aetna, and a real live, very helpful person at Aetna did in fact call me. So I spoke to the real live person at Aetna who had a name and an direct line phone number. Why did they think I was in their network? People have to apply for this, and I had no memory of filling out paperwork. The real live person, whom I fist spoke with on March 23rd, clarified that I had been an Aetna provider through two clinics where I had once worked. These are different from my private practice, and participation is based on the billing address. So I was registered as a provider at an outpatient clinic that I left in 1998, and at another clinic that I left in 2013. Hmmm, so why did they have me registered at my private office? Well, apparently last May they received a claim form for out-of-network services and a clerk 'updated' my file, added my address, phone number, tax information, and Voila! I was an involuntary Aetna provider. No worries, the real live person would fix this and call me. Only that has not yet happened. Update on 4/9: phone call from Aetna saying they had taken me out of their system. Later this month, Shrink Rap will be celebrating it's 10th anniversary! More later, but we are the longest running psychiatry blog, and we're looking forward to the cake. If you do add a comment, please accept our thanks. 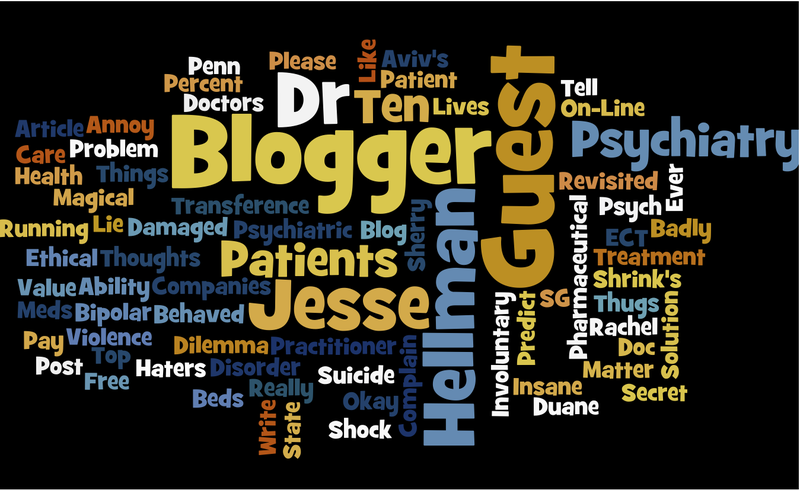 Encouraging dialogue about psychiatry across media. The Accessible Psychiatry Project strives to encourage dialogue about psychiatric disorders and their treatment in order to explore issues of controversy and misunderstanding in our field. Through open dialogue, in both new media and print, we hope to foster discussion about the work psychiatrists do, and to decrease stigma associated with the treatment of mental disorders. ShrinkRapRoy tweets about psychiatry and health care. HITshrink tweets about health information technology and health care reform (HITshrink's blog is here). ShrinkRapDinah tweets mostly on mental health issues. 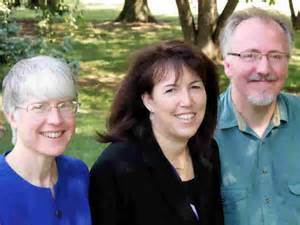 Access to Care: MarylandPsychiatrists.Net is a website designed to facilitate quick entry to outpatient care. Find us on Facebook at ShrinkRapBook : http://www.facebook.com/shrinkrapbook. 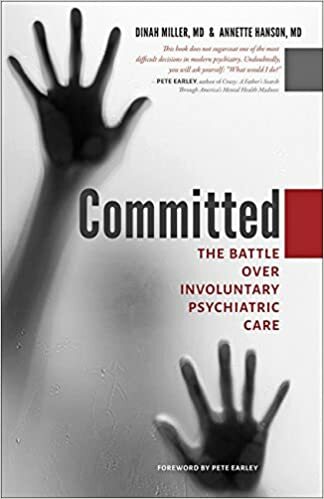 Committed: The Battle Over Involuntary Psychiatric Care, by Dinah Miller and Annette Hanson, In Press, Johns Hopkins University Press for Fall, 2016. Shrink Rap: Three Psychiatrists Explain Their Work, by Dinah Miller, Annette Hanson, and Steven Roy Daviss, Johns Hopkins University Press, Baltimore, 2011.